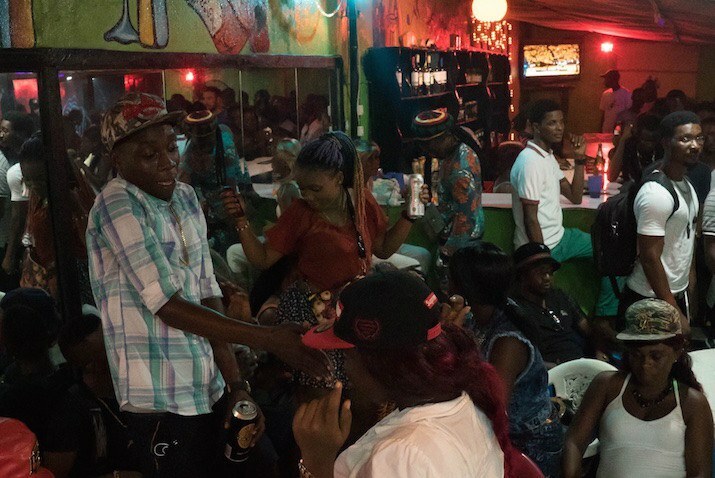 Off a damp alley in central Monrovia is an overheated bar with Liberia's best new music. Walk down a damp alley off Carey Street in the commercial heart of Monrovia and you'll arrive at a metal door. Pay the bouncer, a burly man in camo pants, 100 'Liberty,' about one US dollar, and he'll swing open the door, releasing a burst of hot air and booming bass from the music inside. “ONE FOUR SIX!” yells the MC. “ALL DAY EVERY DAY!” the crowd responds. 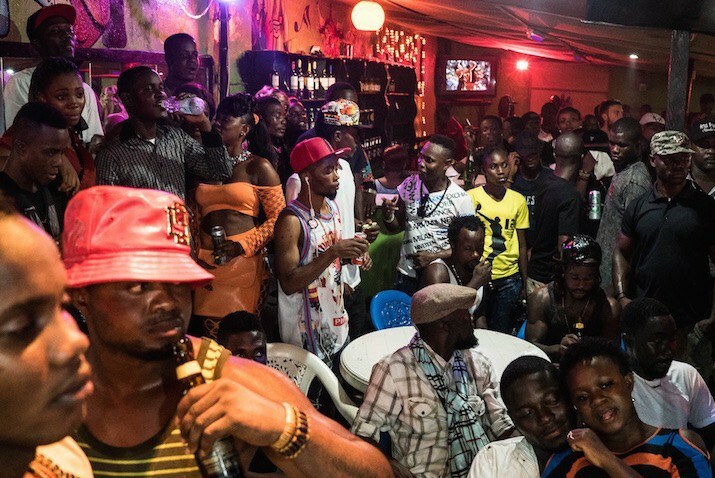 This is ‘146,’ the courtyard-turned-bar, founded by Takun J, Liberia’s biggest pop star, where every Friday spectators come to see artists perform the latest Hipco hits. 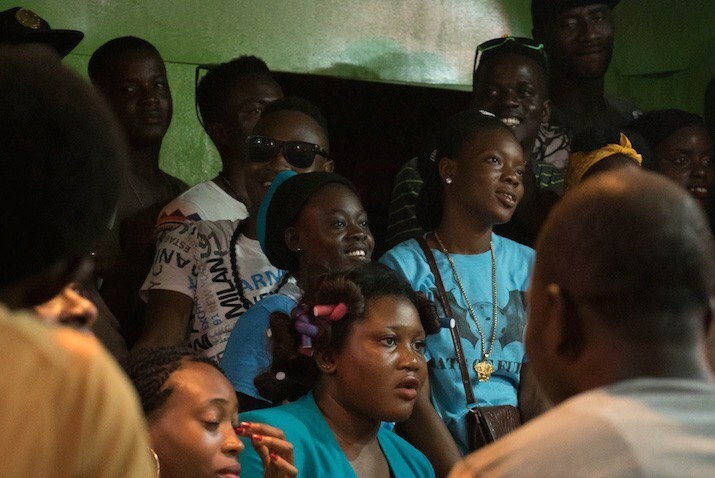 With influences as varied as Liberian gospel, American hip-hop, and Nigerian pop, this local genre has become the de facto artistic language of young Monrovians. While not as polished as Azonto or Nigerian pop, what Hipco lacks in sonic refinement it makes up for in subversive energy and wit. In a wide room with a low ceiling the young crowd stares at the stage. Off to the side, a bartender slings the local Club beer. 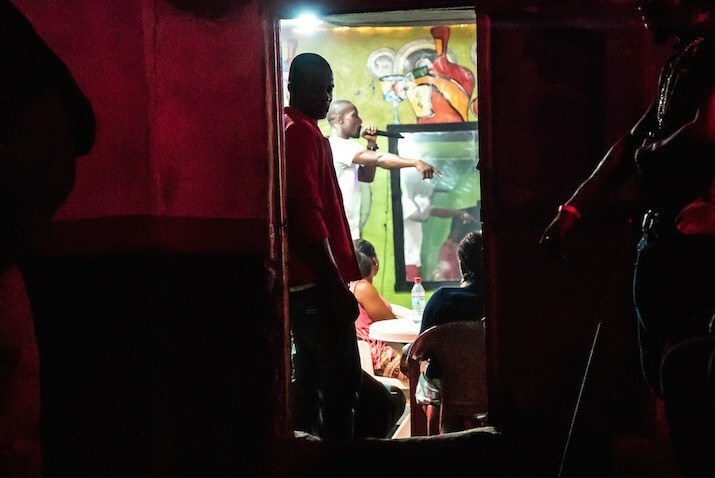 Here, Liberia’s past—civil war, Ebola—feels far away. The bar is hot – too hot. As Takun J’s star rose on the back of national hits like "My Way," "Pot Boiling," and his recent post-Ebola anti-government single, "They Lie to Us," he’s made a series of improvements to the space. What was once a sparse courtyard with a pool table and weights has become a popular bar and art space. During this year’s rainy season he built a roof which succeeded in keeping out the ubiquitous rain but turned it into a sweatbox as a result. On Friday nights, when a packed crowd comes out for the open mic, the bar feels more like a sauna. ‘146,’ is the block’s urban zoning number. 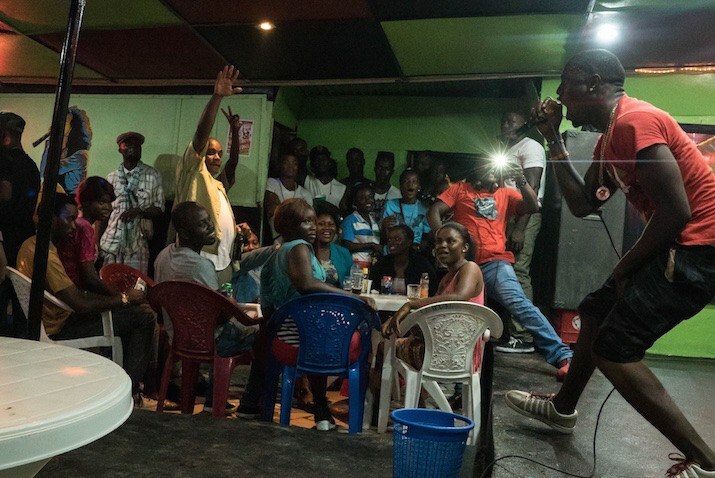 This is the heart of Monrovia, and on Friday nights it attracts a lively group who come to hear artists perform songs they’ve heard on radio stations or off SIM chips sold on street corners. There’s a communal spirit to the night. The absence of serious money in the scene has kept feuds mostly lighthearted and means that its primary currency is still the ego boost that comes from having the hottest song or verse. 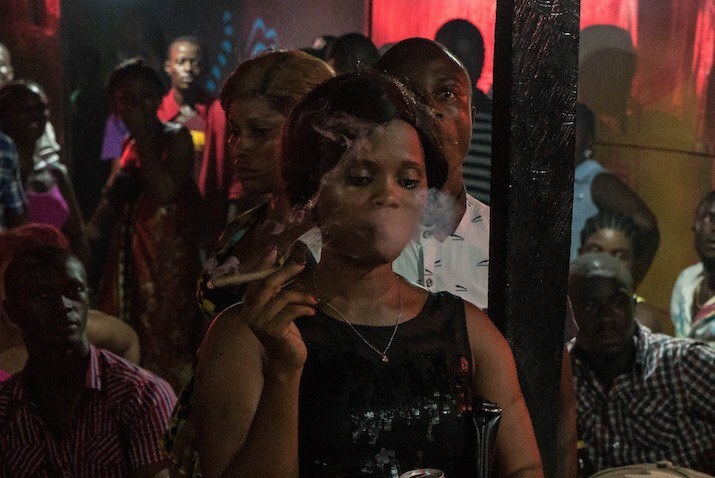 In Monrovia, many clubs and restaurants cater to upscale audiences of expatriate aid workers and ‘repats’—Liberians who spent the war years in America or Europe. 146’s clientele on Fridays is mostly born and raised Liberians. They come looking crisp and stylish. The smell of weed drifts across the room, beers are knocked back, and the energy is friendly and engaging—even familial. On stage, Butterfly winds her way in and out of the crowd. 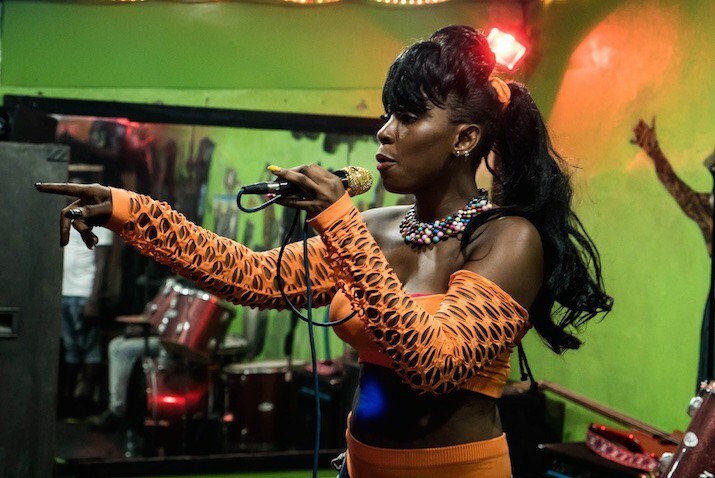 Female rappers are a staple of Hipco, moving from serious subjects like sexual assault to boasts and insults. 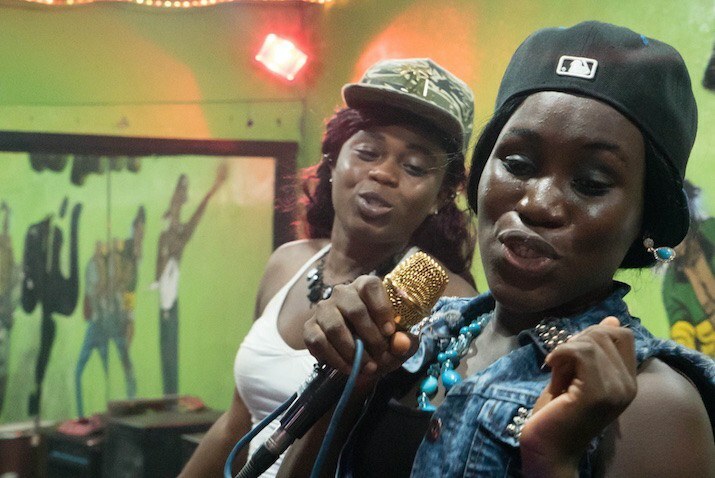 Butterfly performs every week, all confidence and curves—Liberia’s answer to Nicki Minaj. 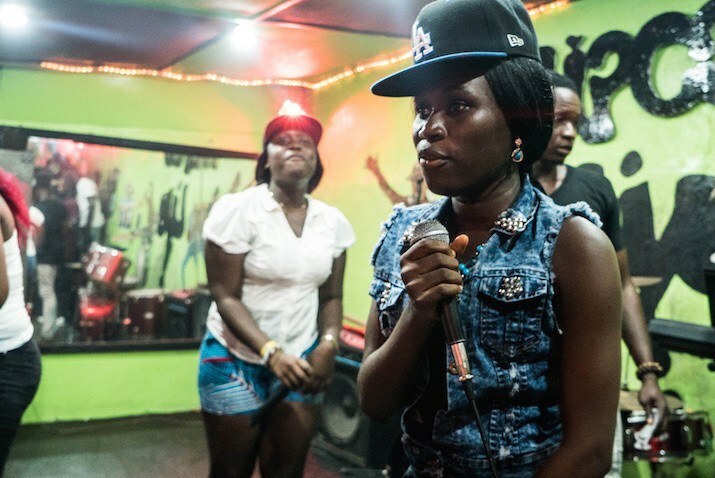 Her song, "Take it You Pay," is a sly nod to the precarious life led by young Liberian women. (Don’t touch my apple/ if you take it you pay). As a reward, patrons ball up small bills and drop it in a box in front of the stage. If it’s an especially exciting song, they might throw the bills at the artist or come up and stuff them in his shirt. When Takun J saunters onto the stage for his turn in the spotlight, the crowd rapturously sings the words to every song. 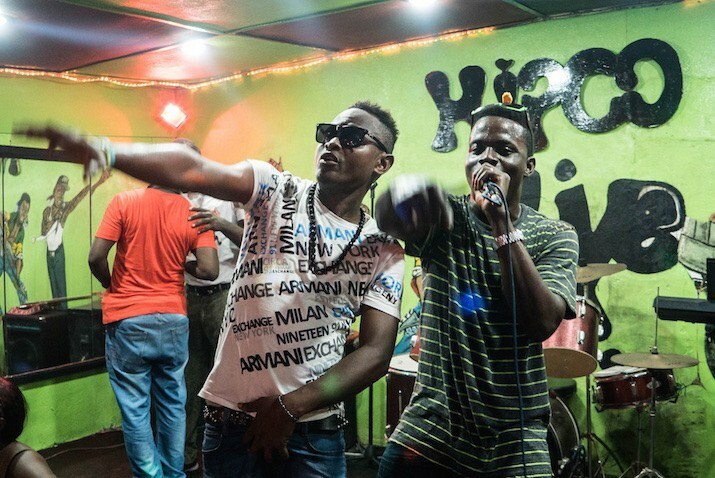 Unlike some other African dance genres, Hipco is a long way from crossing over to European or American markets. The production value is low, owing to limited resources for the latest studio equipment. 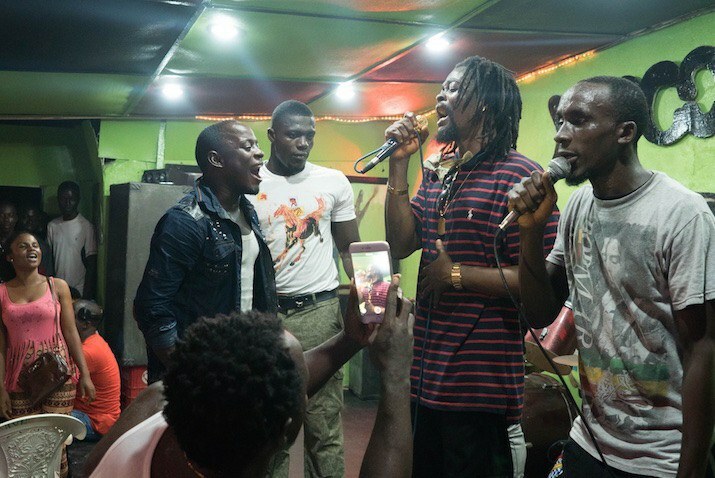 More importantly, most of the rapping is done in ‘colloqua,’ Liberia’s street English, which can be indecipherable to non-residents. But in the muggy, ecstatic atmosphere of 146 on Friday nights, it’s hard to see why that matters. 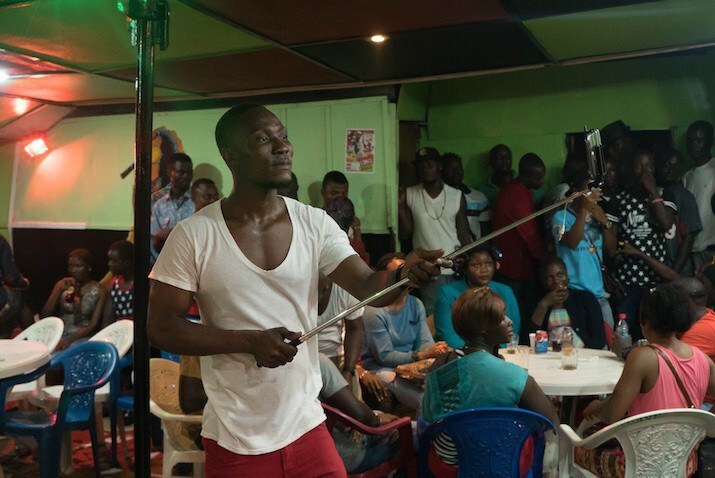 In a country where public spaces are dominated by imports, whether in the form of political returnees or the cultural products of the US and Liberia’s culturally powerful neighbors, Hipco is a vital, homegrown movement. 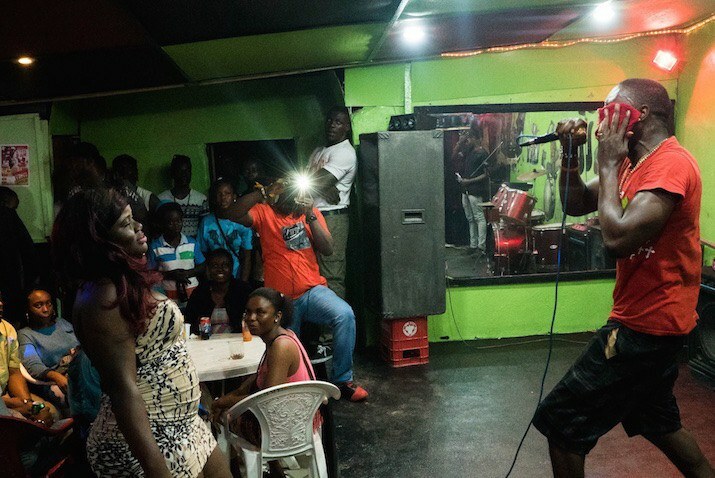 It’s hard to predict Liberia’s future, but it’s easy to imagine the next generation of Monrovian artists reminiscing about what it was like the first time they snuck in or hit the stage at 146. 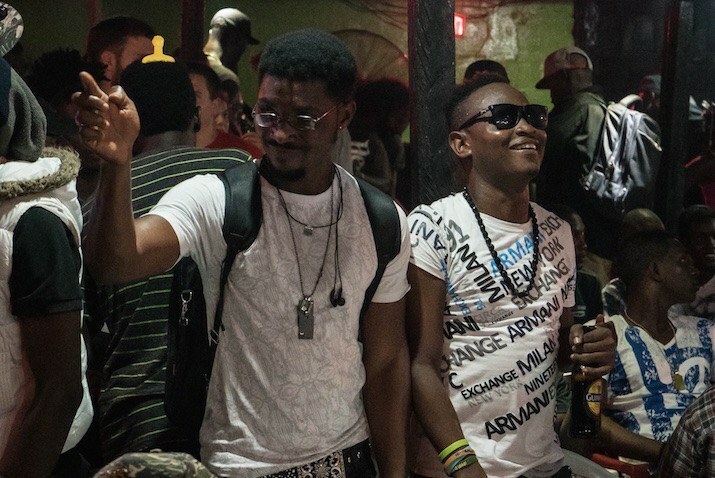 Whatever the future brings for Liberian music, there’s nowhere better to be on a Friday night. Liberians relaxing at 146 after a long week. 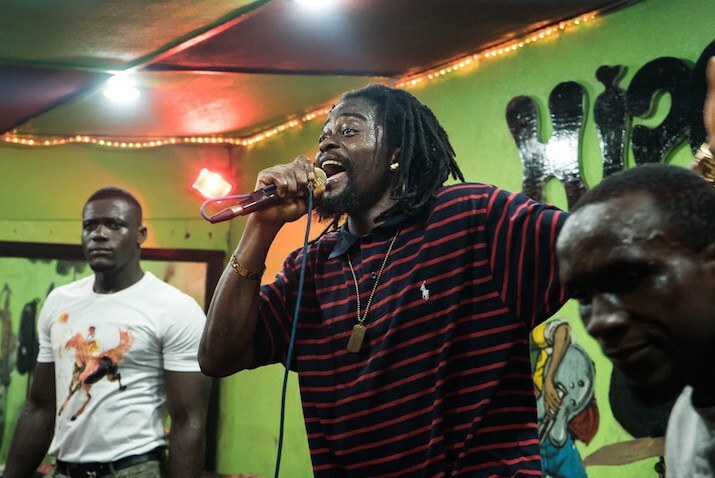 Takun J, Liberia's biggest pop star. Amaze (left) performing with Arthur Cassell. All photos by Ashoka Mukpo.